Get your Zen on with our line of Zen necklaces. 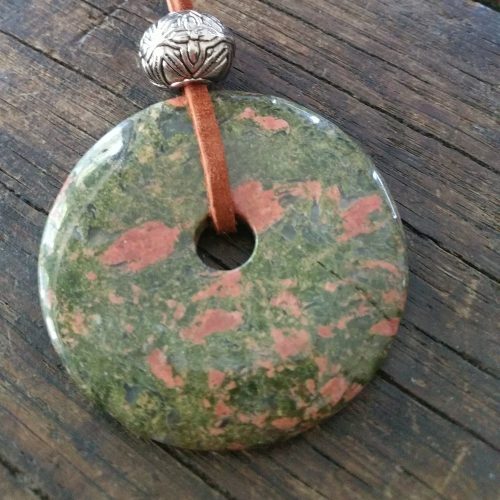 These necklaces consist of a 50mm natural stone ring set on suede or leather and are adjustable! This unique design was developed by artist Sandy Calderone. Adjust the necklace to your neckline of choice without taking the necklace off. Each natural stone has it’s own properties for healing and meditation.